Dwayne Johnson is known for being one of the busiest guys in Hollywood. Last year, Johnson starred in three major studio releases — Universal’s Fate of the Furious, Paramount’s Baywatch, and Sony’s Jumanji: Welcome to the Jungle — in addition to headlining the HBO series Ballers. 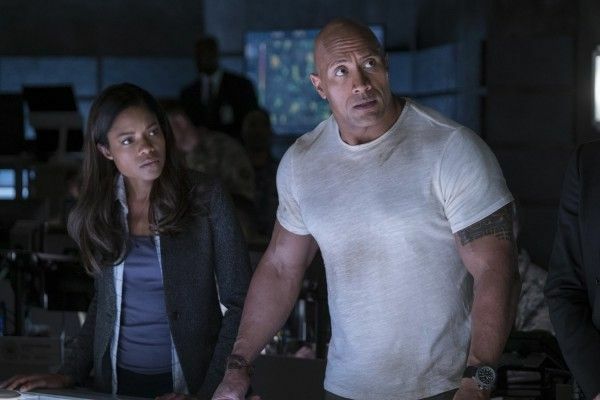 Now, Johnson’s got Rampage arriving in theaters this week, and looking toward the future, the actor has Skyscraper dropping in July, Fighting with my Family in September, Disney’s Jungle Cruise heading into production soon, a Fast and Furious spinoff film on the books for 2019, and a number of other projects in various stages of development, from the DC superhero pic Black Adam to the original thriller Red Notice. However, there’s one extra-hyped project we haven’t heard any official word on in almost two years; Shane Black’s Doc Savage. Johnson was set to play the titular hero, a physical and mental specimen trained since birth to have extraordinary ability and strength, but with Black hard at work on Fox’s Predator sequel and Johnson keeping busy with two clones worth of work, it seemed like the project was put on the back burner. However, there might be a little more to it than scheduling issues. I recently sat down with Johnson to chat about his monster movie Rampage, and while I was there, I asked for an update on the Doc Savage movie and it sounds like this one might have gotten tangled up in rights issues. That’s a damn shame to hear since the pair seemed like a match made in heaven for the pulpy, paperback proto-superhero yarn. Hopefully, they can untangle those business issues, or find time for another project on their dance cards soon. Black has teased the possibility of another original film after Predator, which is certainly always welcome from the Kiss Kiss Bang Bang and The Nice Guys filmmaker. What do you think? 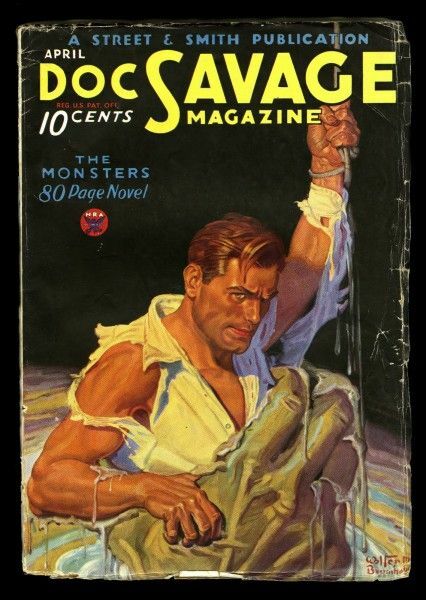 Would you rather see Shane Black working on an original project next, or are you hoping they sort out the details to get Doc Savage moving at last? Sound off in the comments with your thoughts and stay tuned for our full interview with Johnson.